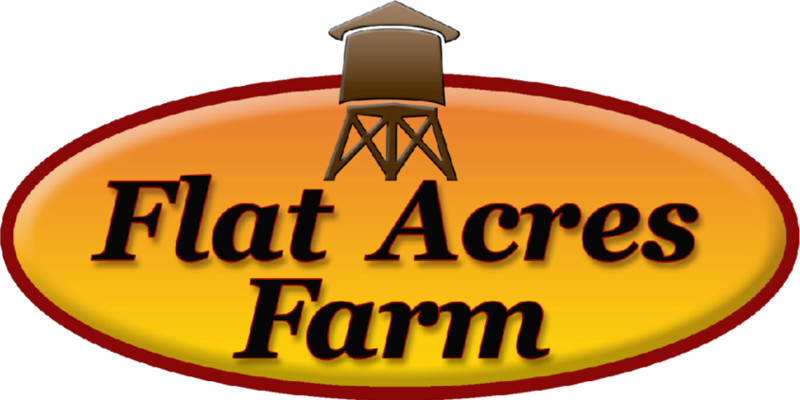 Check out The Annual FALL FESTIVAL and MAZE at Flat Acre Farm. 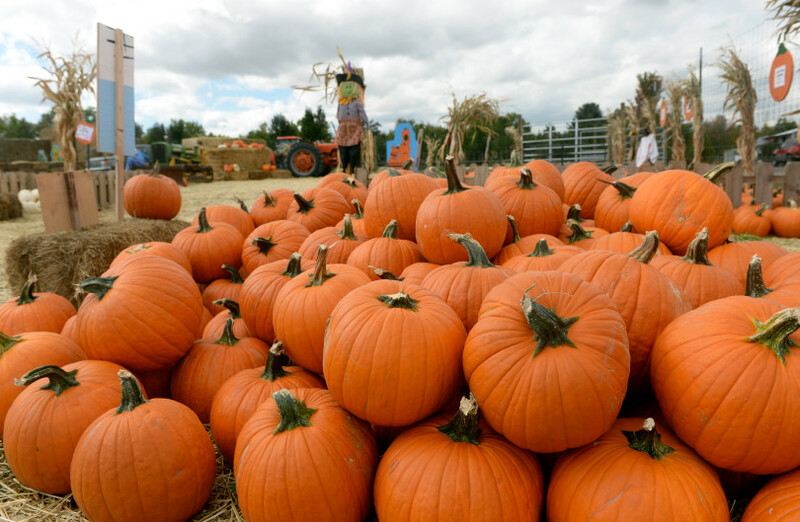 This local business and small farming co-op event is filled with fun for the family including an award winning pumpkin patch, corn maze, kids hay maze, duck races, giant jenga game, hay ride, bounce houses, corn hole, giant swing set, climbing wall, and petting zoo! Be sure to bring a camera for the photo ops abound! Kids 2 and under are free, folks ages 3 to 64 are $12, and seniors are $5. Military discount offered. 10AM to 6PM Saturday and Sunday through Halloween. 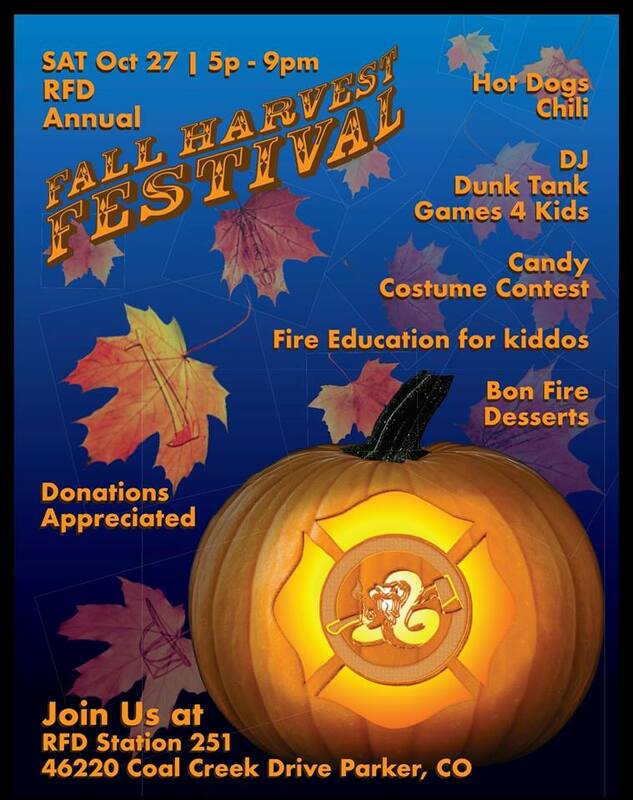 The Rattlesnake Fire Protection District is also hosting an outdoor Fall Harvest Festival, Saturday, October 27th, 5PM-9PM. This event is free but donations are appreciated and will benefit the fire district. Get ready for candy, costume contests, bon fire desserts, hog dogs & chili, a dunk tank, a DJ, games, AND fire education for kiddos. Mile High Harley Davidson of Parker, CO is putting on an ADULTS ONLY event! Trick-Or-Treat Street for Adults, will be held Saturday, October 27th from Noon to 4PM. Costume contests, pumpkin-chunkin, adult trick or treating, food, music, and cold beverages. 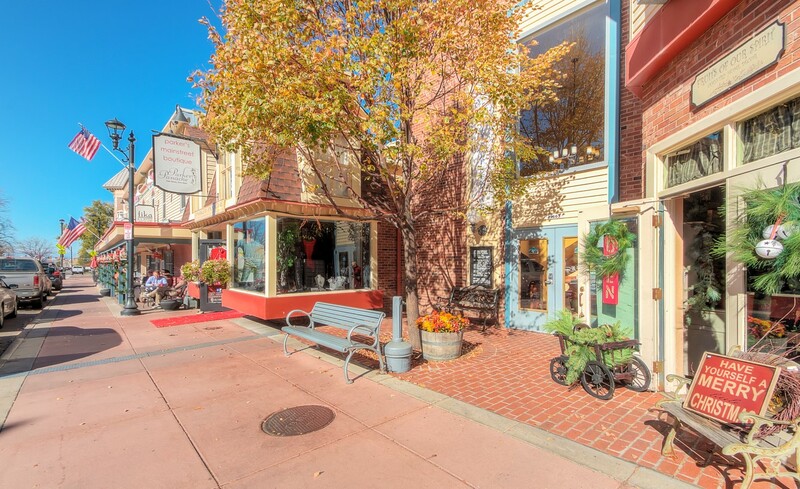 and the 2nd to last weekend at the Downtown Wine Walk on Parker Mainstreet. There are ALWAYS fun things to do in Parker CO this weekend and October 2018 is no different.